Approximately a third of U.S. ambassadors have been politically appointees over the last 50 years, including some of our very best. 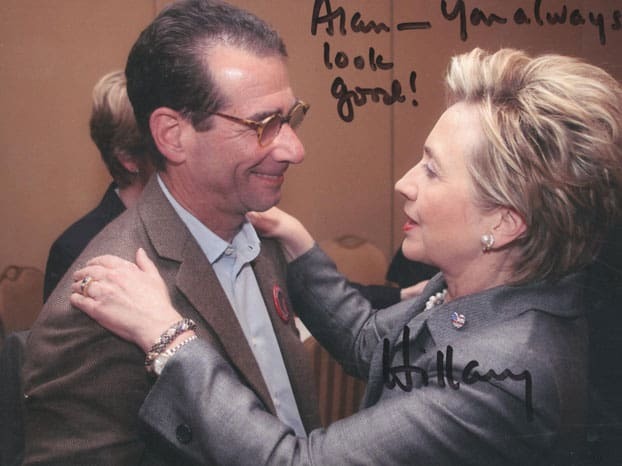 Alan Solomont’s oral history provides a candid account of his work as a fundraiser for both successful and unsuccessful Democratic presidential candidates. 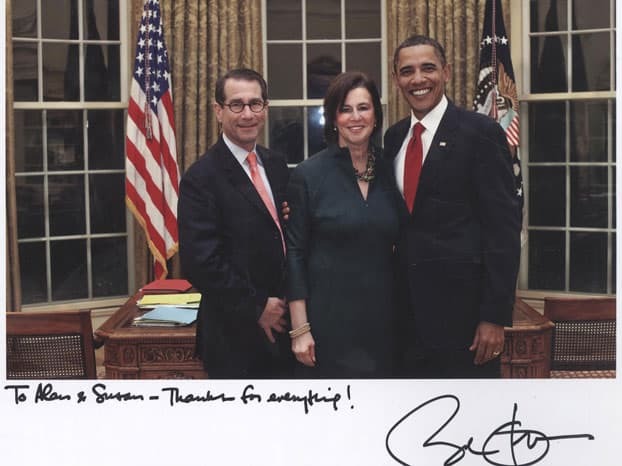 Solomont’s engagement at the highest levels of American politics led to his service as President Obama’s ambassador to Spain 2009-2013. Solomont worked for candidate Bill Clinton’s successful 1992 presidential campaign as a fundraiser. After that election, he ran the fundraising Business Leadership Forum for the Democratic National Committee. The Democrats suffered dramatic losses in the 1994 midterm elections, and President Clinton’s prospects for reelection were clearly in doubt: Republicans controlled both houses of Congress, some of Clinton’s signature initiatives had sputtered, and growing personal controversies clouded the President’s image. Solomont helped raise $50 million to bolster the Democrats and counter the Republican “Contract With America”. Clinton went on to reelection in 1996. After 16 years of association with both Bill and Hillary Clinton, Solomont surprised many of his friends in 2007 when he joined the campaign of a young Illinois senator — Barack Obama. Solomont was ultimately responsible for fundraising in New England, where his committee raised more money per capita than any other region. Following the 2008 election, he went to Washington to help President-elect Obama’s transition team. Solomont wasn’t expecting to be offered an ambassadorial appointment — but was delighted when he was asked to go to Madrid. Educated at Tufts University, Alan Solomont later obtained a degree in nursing and went on to own and manage nursing homes. He began his involvement in Democratic Party fundraising in 1978, and his first major role was in the 1982 Massachusetts gubernatorial campaign of Michael Dukakis. Wearing various hats, he also worked for the presidential campaigns of Michael Dukakis (1988), Bill Clinton (1992 and 1996), John Kerry (2004) and Barack Obama (2008). President Obama nominated him as U.S. Ambassador to Spain in 2009, and he was confirmed by the Senate in the same year. Alan Solomont’s oral history was conducted by Charles Stuart Kennedy beginning on August 30, 2013. Read Alan Solomont’s full oral history HERE. “Most Exciting Experience in American Politics”: One of Michael Dukakis’ chief fundraisers, a guy named Bob Farmer, in 1991 started raising money for a governor from Little Rock [Bill Clinton]. I was a Tsongas supporter in ’91 because I knew Paul Tsongas. However, I didn’t think he was going to be President of the United States, so I made some contacts in the Clinton campaign. I learned an important lesson in politics that I used to teach my students [at Tufts University]: the most exciting experience in American politics is a presidential campaign, except for one thing – a winning presidential campaign . . . And all of a sudden I knew the guy in the Oval Office. A Re-Election Campaign in Trouble: I got involved in the Democratic National Committee. A young guy, an up-and-coming leader in the DNC (Democratic National Committee) – who had not been a Clinton guy — was named Terry McAuliffe [later governor of Virginia]. He saw me and saw a live one. I became, in some respects, a bit of a protégé of Terry. He and I are quite different personalities. 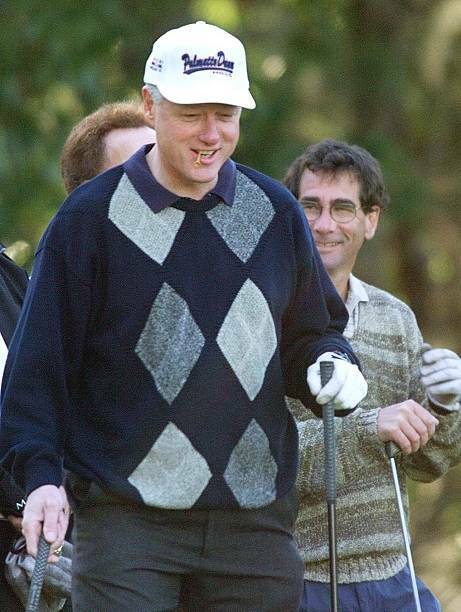 His claim to fame was he was Bill Clinton’s best friend in the White House. Terry’s first job in the DNC in ’93 was chairman of something called the Business Leadership Forum, the BLF. He went from that to being the financier of the DNC and I became the Chairman of the Business Leadership Forum. And then when the reelection happened in ’96, Terry went over to the campaign to be the financier. I just took on increasing responsibility. ’96 was my first really national role. It was the era of the 30-second commercial… A brilliant political operator named Harold Ickes was deputy chief of staff at the White House. He initiated an effort through the Democratic Party to raise $50 million to go on television against the Republicans’ Contract With America. His idea to fight back against the criticism and the irrelevance was for the president to point out to Americans what Newt Gingrich’s “contract” really would do to healthcare, education, and job training. If you look at the television buy that the party made and follow that over the next several months and compare it on a graph over the same period with the president’s approval rating: the two lines move in parallel. As the party continued to advertise this message on television, the president’s approval rating went up. It’s a remarkable representation of what was happening politically. So guys like me who were willing to raise money became really important. Arguably much more important than we deserved. But we were the key to the political prospects of candidates. High Stakes and High Amounts: . . . Clinton came to Boston on January 31st of 1996, and we raised a million dollars for him. It was one of the few places he could still go to. I think that helped establish my national credentials. Then I was raising money during the campaign for people who could contribute $10,000 and $15,000. There were the coffees for $50,000. I raised a lot of money. I used to have Clinton’s time for these dinners for the Democratic Business Council. I used to introduce him at these dinners, and he would come up and give me a squeeze, whisper in my ear, “I love you” (laughs). Difficult Decisions: And so in 2006, I was asking myself whether I had the stomach to go through another presidential campaign. I had been very invested in the Kerry campaign, and thought that I might serve in the Kerry administration. When that didn’t work out I taught this course on the presidency at Tufts. And you know, the field was sort of taking shape. I had a lot of friends in the race. Bill Richardson was a classmate of mine at Tufts in the ‘60s. Tom Vilsack, the Governor of Iowa with whom I had become friendly and who I thought was a great public servant. Hillary Clinton was in it and I was associated with the Clintons – I had worked with them for 16 years. But I’m a big believer that elections are about something not someone. I had learned from the governor’s race in Massachusetts in 2006 that elections were seemingly about change. And this young senator I had met in 2005 was inching closer to becoming a candidate for president. So I started a conversation with him about joining his campaign and I finally made a decision, and sometime in the early part of January of 2007, declared I was going to work for the Obama campaign. I wasn’t looking to make a big splash, but I was one of the earliest people on the fundraising side of politics who had some national visibility who had been associated with the Clinton world who decided to cast his lot with the Obama campaign. I wasn’t looking to raise any eyebrows, but raised a lot of eyebrows because I think that people expected that I would be on the Clinton campaign. An Unexpected Offer: When I was asked [after the 2008 election], “Well, would you like to go to an embassy?” I was not really expecting that. I knew that was something that happened to people like me. I said, “Well, if my wife and I have the opportunity to serve in an embassy, I would certainly want to consider it.” I was asked to submit a list of 10 countries where I would want to serve. It was a very eclectic list. Spain was not on it. I was going to put the Bahamas, because my daughter had spent some time in the Bahamas on a high school environmental program and I knew some of the sort of sustainable development issues there. I didn’t know where I might get sent. I had Bahrain, I had Morocco, I was interested in the Middle East, I had Italy, I had, you know, Czech Republic. I showed it to a friend of mine who’s a distinguished American diplomat, Martin Indyk, and he looked at my list and said, “Take the Bahamas off. If you put that on they will think you’re not serious, that you just want to play golf,” (laughs). So I took it off. So I sent my list in before the inauguration.